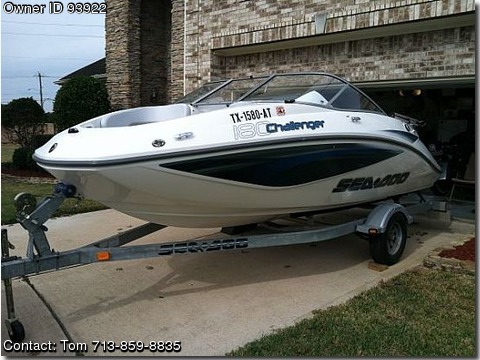 Contact Boat Owner Tom 713-859-8835 or tomz240@verizon.net. Boat has only 67 hours. Boat washed inside and out after each use. motor still looks brand new. the decals the boat is immaculate. 215hp supercharged Rotax engine. It is a blast to drive. intercostal a couple of times and it was a great ride. anchor and more all included. Like new Priced to sell.